YouTube is the best place for watching and uploading videos. People upload their videos on it and many of those become viral. Now, every movie release its trailor on YouTube. So, you can understand the importance of YouTube. Now, YouTube videos come with the sharing facility on social media. 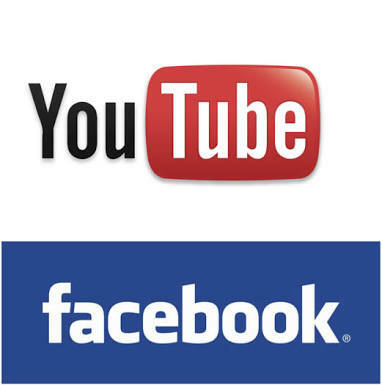 You can upload your videos on youtube and you can share it easily on Facebook. So, in this post, I will discuss how to share YouTube videos on Facebook. Go to the youtube video which you want to share on Facebook. Click on the video. Now, you have to click "share" button under the right corner of the video.You will see different sharing buttons Facebook, twitter, Google+ etc. Click on the Facebook icon. If you are already login then no matter. But if you are not looged in then it will propmt to login to your Facebook account.Just login. Now you have to select the way you want to share the video. Select the option from drop down menu like share on your wall, share in a group or a Facebook page. Now you can enter a message above your video. At first go to the youtube video you want to share. Right click on the video. You will see a pop up window. Click on "to copy the link to your clipboard" . Now, go to your Facebook profile and paste the link of the video in the status field. You will see the thumbnail of the video after some time. Now remove the link and insert the message you want. Now, click on the "post" button. This method is for android users exclusively. Open your youtube app and choose the video you want to share. Start streaming the video. Now, tap the share icon (icon with three connected dots) situated at the top right corner of the video. You will see " share this video via .....". Choose the Facebook icon from the list. Now, it will take you to your timeline. You can write some message in "write something" box.